Only one thing is for certain: the truths uncovered during her journey will leave no one untouched. Tell me the truth, does the blurb pull you in? If so, would any of you be interested in an interview (even a character interview), a guest post by me, a book review, a book playlist, or maybe just featuring my cover image, promotional blurb, and author bio on your site? Perhaps sometime in the month of January or February? Also, last year I hosted a blogfest for the release of the first installment in my trilogy, 18 Things. Fifty bloggers participated by posting 18 Things they had on their bucket list, and I was able to give away 18 awesome prizes during release week! I’d like to duplicate that type of fun, so I’m planning a 1 Lie and 8 Truths blogfest (a twist on the 2 truths and a lie icebreaker I do with my students when they switch into new teams every month). People will post 1 lie and 8 truths about themselves, and we’ll try to find the lie. I figured it’s a fun way of getting to know each other, while tying in the number 18 and the truth theme. Sound good? If so, please consider signing up when I post the link on Jan. 15th. Also, if you have any swag to donate for the blogfest . . . books, giftcards, bookmarks, journals, critiques . . . I’d be eternally grateful, and that’s the truth! Getting my book out there is just a small part of what I hope to accomplish in 2014. I’d also love to be a blessing to other bloggers, so please know I will pay it forward. 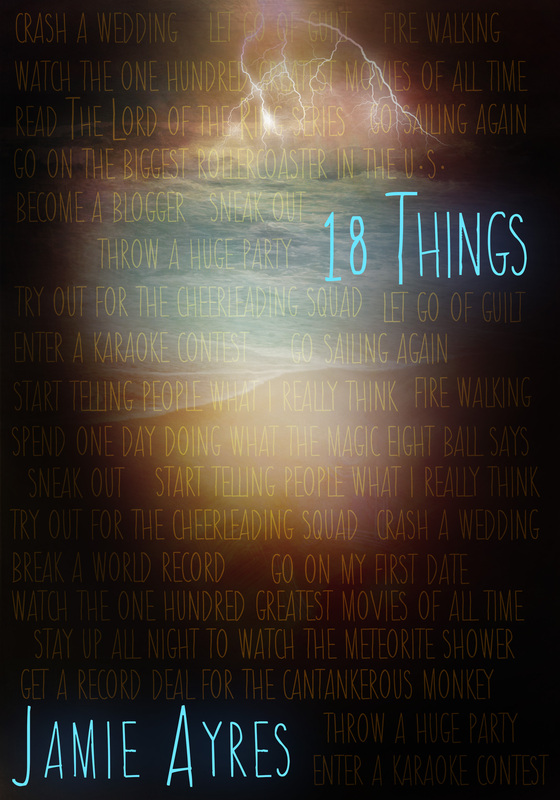 Oh, and I can’t go without also revealing my NEW cover for 18 Things. My publisher decided to revamp it for the release of the sequel so we could brand the series a bit better. What are your resolutions for the new year? Any truths you hope will rule your life in 2014? My faith is high, and I’m so grateful we get to share in this journey together from every corner of the planet around the blogosphere! Thank you, truly, for always answering my call for help when I need it! When I look back at my 2012 resolution, it was to get my YA novel, 18 Things, published. But honestly? I never thought this day would come! Nooo, not because I’m wacky enough to believe Dec. 21st was going to be the end of the world (well, okay, some nights when I had way too much chocolate and a gallon of coffee, I might’ve listened to my brother’s entertaining conspiracy theories). But I’m talking about the day I finally announce the release date for my novel. Sure, I prayed for it, counted minutes, hours, days, weeks, months, 3 years off my calendar waiting for the day when I could finally call myself a published author. Now it’s here. And I know 13 is an ‘unlucky’ number, but I’ve got a feeling 2013 is gonna be a good year, a gOOd, GooD year (I always liked an underdog!). BUT OH, CRAP! THAT’S JUST 22 DAYS AWAY!! AHH! Really draws you in, doesn’t it? Yes, we both have a fondness for blue and lightning, lol! Here’s the blurb . . . you’re gonna want to add this to your TBR list! What if Texas never joined the United States, and instead became its own nation? In The Charge that’s exactly what happened. In the 1830s, the Republic of Texas was taken over by a dictator with superhuman powers who named himself the first King of Texas. Eighty years later, the Texas Empire has fallen into ruin, but the story of the Texas royal dynasty is far from over. College freshman Warren King wants nothing more than to enjoy a beer by the pool on his summer break…but that’s not what fate has in store for him. When Texas soldiers kidnap his little brother, he embarks into a still-wild West to save him. While fumbling through a search attempt in the lawless Texas Empire, he makes a discovery that changes his life forever. He and his brother are estranged members of the Texas royal family and the King wants them both dead. Now Warren must save his brother and choose whether or not to be King, follow a King, or die before he can retire his fake ID. The Charge will be available in digital and print formats from Curiosity Quills Press on Texas Independence Day, 3/2/13. Go to www.facebook.com/thechargebook for updates. Ha! Whatever your thoughts are for 2013, don’t let unfinished goals from 2012 hold you back. A lot of times our dreams aren’t fulfilled not because of our performance, but because of timing. We don’t know the details of our lives, so we have to step out in faith. Have faith with me that 2013 will be a lucky year! 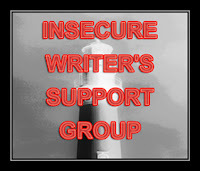 If you’d like to join the Insecure Writer’s Support Group with our head Ninja Captain, visit Alex J. Cavanaugh!